I recently added the below caption and image to the Trombone History Timeline (19th Century—first half). I have run into numerous similar images along the way, but it’s rare to find one that includes a trombonist. 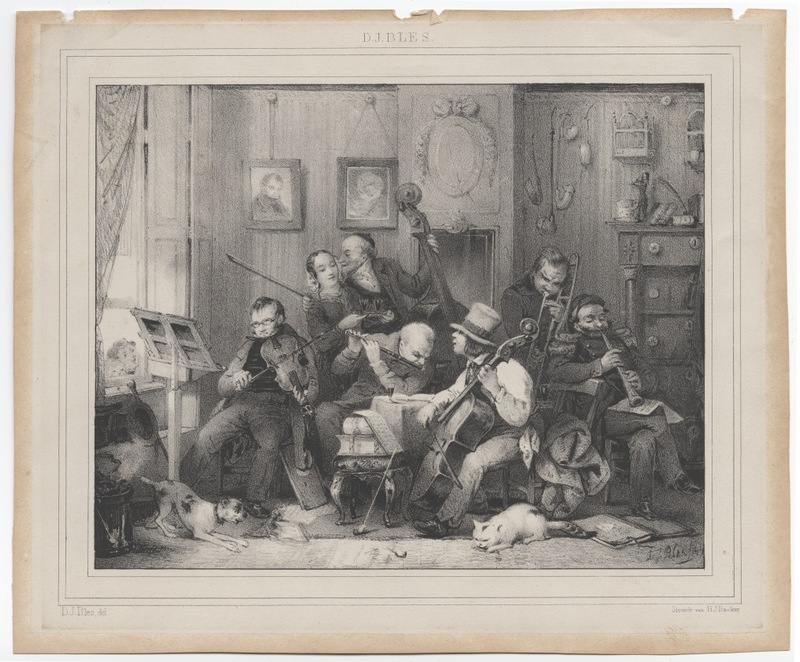 c. 1840—Holland: A lithograph depicting a lively Dutch house concert, from a drawing by David Joseph Bles (1821-1899), incudes a trombonist (see below image; click image to expand) (public domain).